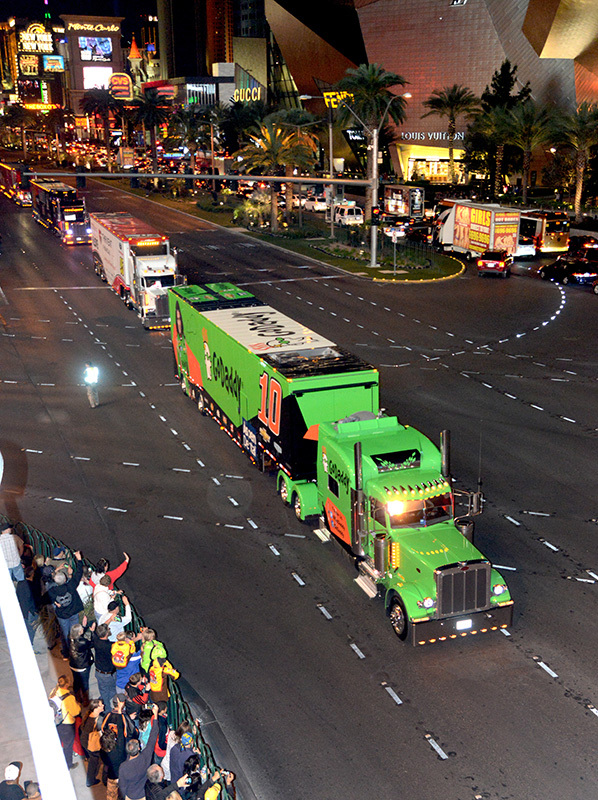 06-Mar-2015 The NASCAR Hauler Parade signaled the start of NASCAR Weekend in Las Vegas and the Las Vegas Motor Speedway March 6-8. 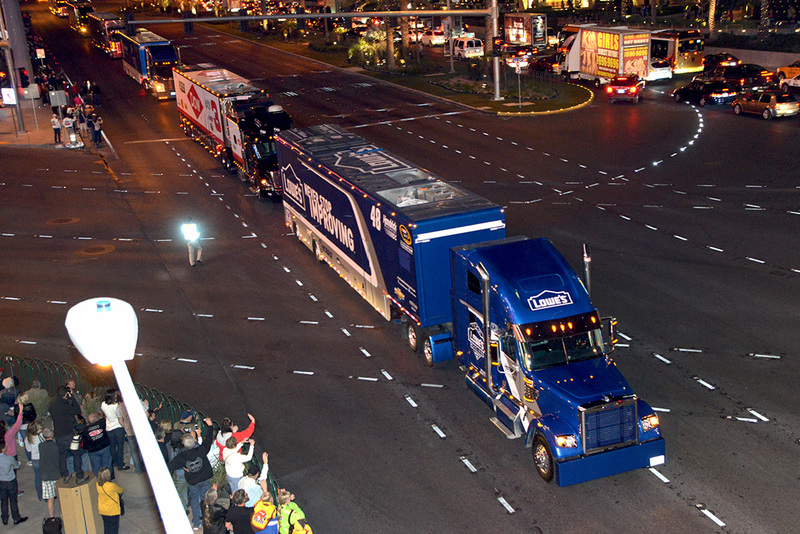 The parade route stretched for nearly five miles, beginning at the historic Welcome to Las Vegas sign and heading north on Las Vegas Boulevard before ending at Sahara Avenue, where the haulers will jump onto Interstate 15 toward Las Vegas Motor Speedway. 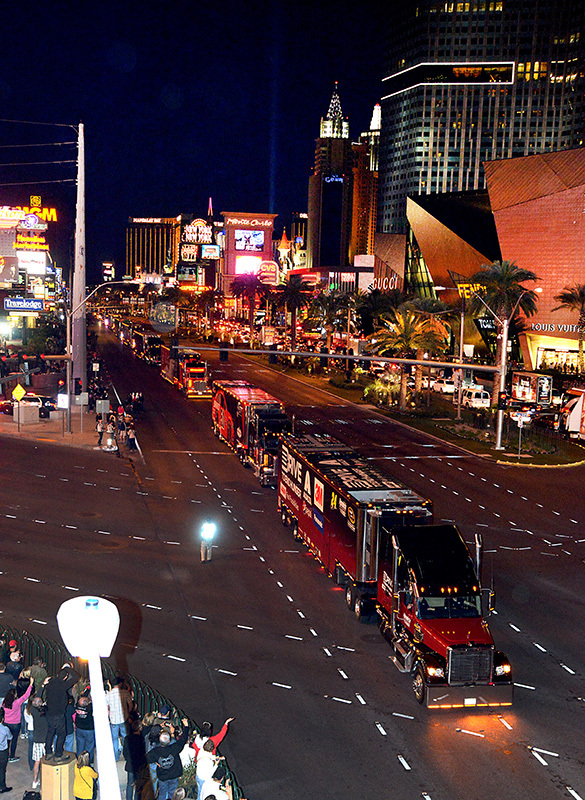 The parade is visible for race fans on both sides of the Strip and from any of the hotels and casinos along Las Vegas Boulevard. The superspeedway’s NASCAR weekend will begin with Stratosphere Pole Day on Friday, March 6 – highlighted by NASCAR Sprint Cup Series qualifying at 4:45 p.m. 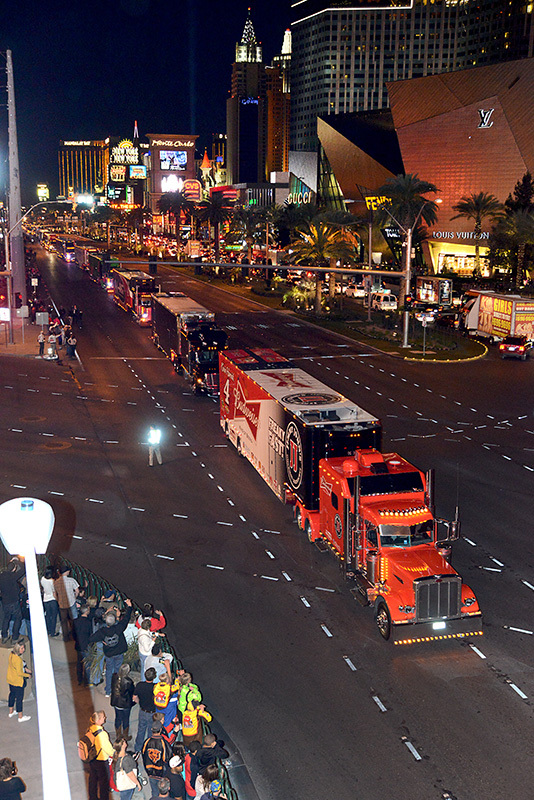 The Xfinity Series Boyd Gaming 300 will be the featured event on Saturday, March 7 at 1 p.m., while the NASCAR Sprint Cup Series Kobalt 400 caps off the weekend on Sunday, March 8 at 12:30 p.m.
Trucks carried the cars of notable NASCAR drivers, including Danica Patrick, Jeff Gordon, Jimmie Johnson (Ranked #2), and Kevin Harvick (Ranked #3). 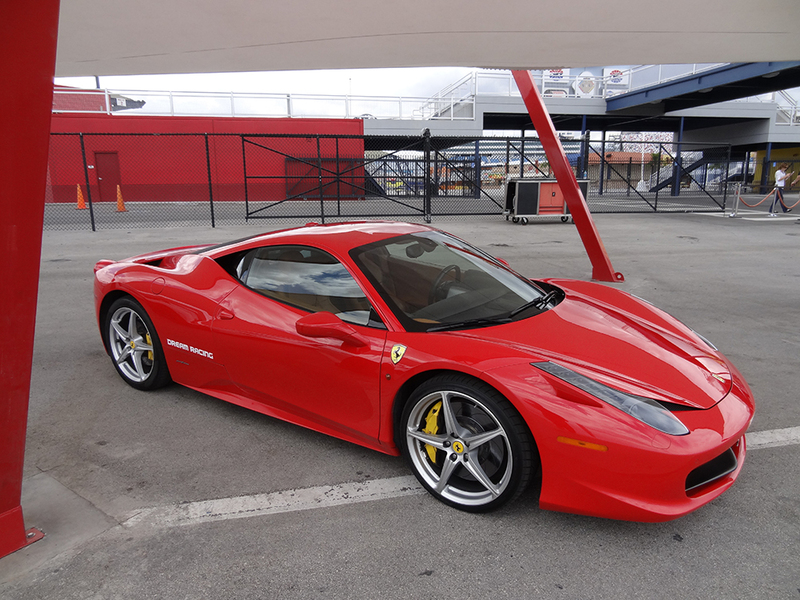 Watch a video of this event on the Las Vegas Top Picks YouTube Channel.